Zimbabweans in the diaspora have continued holding marches in various countries across the world against the government’s crackdown on protestors. The marchers congregated at Burgers Park where they began their march to the UN head office in Pretoria. 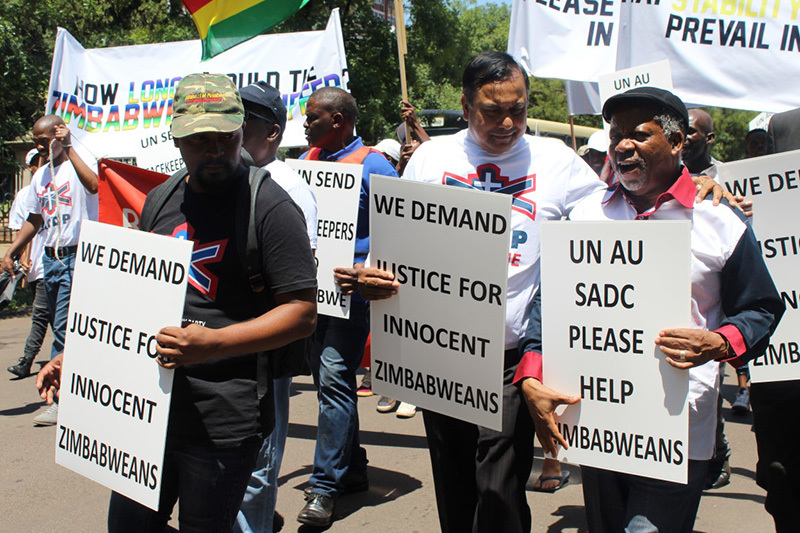 On Thursday Zimbabweans living in South Africa marched in Pretoria’s CBD in protest against the killing of their “innocent countrymen”. Some of the things happening in Zimbabwe are not nice and may make you angry, however, we need to contain this anger and not speak of hatred. Moosa Kumbe ACRM president said that there was a need for African countries, particularly Southern African developing countries to unite and assist Zimbabwe.